Hot off the press…new recipe ebook from Enjoy Life Foods. It’s got 94 pages filled with recipes, all free of the Top 8 Allergens. 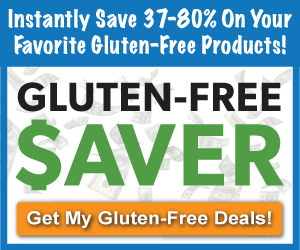 Download your free ebook from Enjoy Life Foods! Get Nicole Hunn’s Gluten Free on a Shoestring Cookbook…only $12.27 for the book, or $8.74 on Kindle. Download this FREE e-cookbook onto your Kindle or Kindle reader! Delicious and Nutritious Gluten-Free Breakfast Recipes: Affordable, Easy and Tasty Meals You Will Love Note: This is a Kindle version book that can be downloaded to your PC, Mac, iPad, iPhone and any other device that has a Kindle reader.